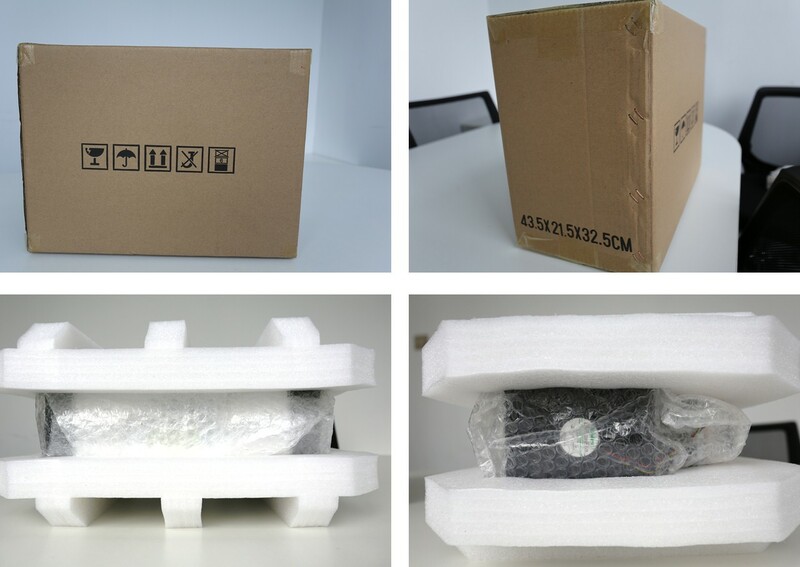 Just like our other Antminer models, the A3 is packaged as such it is protected by bubble wraps, Styrofoam and a carton box with packing symbols to make sure the miner will not be damaged during transportation. The A3 miner uses two fans in the front and rear, with three hash boards embodied in its aluminium frame to better support and protect the hash boards while dissipating the heat. There are three hash boards in A3. Each hash board has three PCIE 6-pin connectors and cables to connect to the control board. The miner’s front has a IP Report button, Ethernet connector, Reset button, fault and normal light indicators (there is an Antminer A3 logo and a QC label). The front fan gets intake air. The rear fan produces exhaust air. 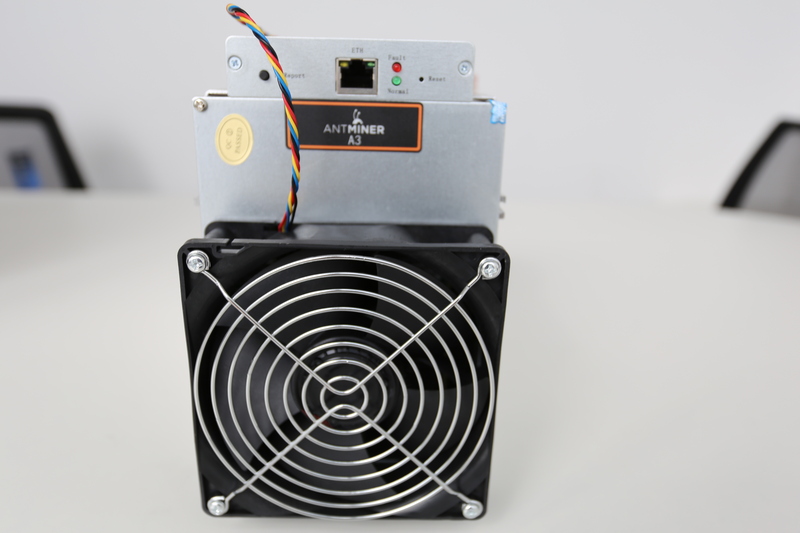 For this safety test, we are using an Antminer PSU APW3++, which can bought at Bitmain’s official website, and Antpool to mine. The installation is just as simple as our other ASIC Antminers, if you are familiar with S9 or L3+, installing A3 will be as easy as a breeze. We tested the miner’s emitted noise and heat after switching the miner for 24 hours. The testing area is at a 30 m2 meeting room with an ambient temperature of 15 degree Celsius. We discovered the emitted noise to be at 74 dB, measured 10 cm away from the miner. 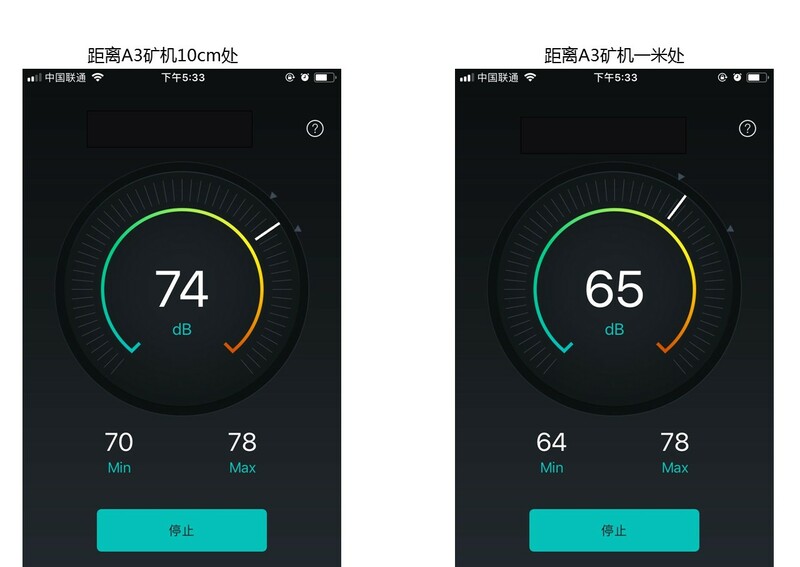 It decreased to 65 dB if it was measured 1 metre away. It’s safe to say that we have improved the noise level, seeing how A3 miner is slightly more quiet than other earlier models. 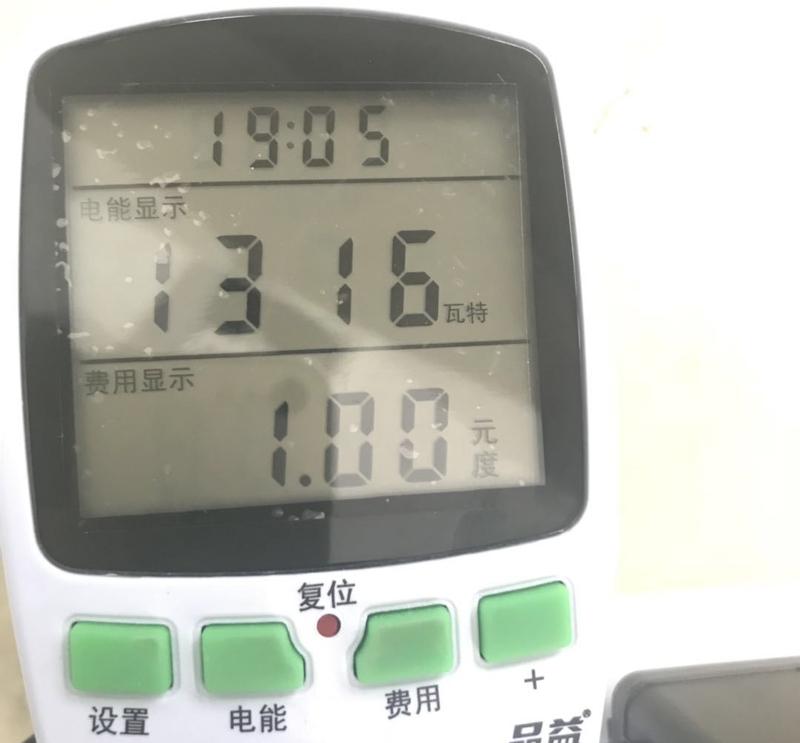 After the miner has operated for 24 hours, we see that the hash board temperature is around 55 deg C and the chips temperature is around 80 degree Celsius. These numbers are well within the acceptable range. The fans should typically spin at 4000 rpm. The advertised hash rate of A3 is 815 G. We tested the hash rate after operating the miner for 24 hours and discovered that the actual hash rate is 824 GH/S, which is 1.1% higher than expected. The A3 advertised consumption is 1275 W, even though the actual reading is 1316 W which is slightly higher. As of 7 March 2018, Siacoin is valued at 0.1 RMB. Accordingly to Antpool’s reward system, one unit of A3 mining for 24 hours can generate 1594 Siacoin, which is 159 RMB. If we were to account for the electricity cost which is around 9.5 RMB/day, profit for one day is 149 RMB. We calculated the efficiency to be 1.61 W/G. The overall performance of A3 is satisfactory, having a power efficiency is as low as 1.61/G and stable hash rate. A3 produces lesser noise as well, if you closed the doors you would not even hear a thing. The Antminer A3 definitely lives up to Bitmain’s reputation of good quality miners. Operating it is as simple as ABC, simply plug in and start mining! SIA is good bet and has huge potential. Get an A3 and stock up some Siacoins today!